I don't know what this image means, if anything, and I wonder how often that is true for painters and artists. Viewers might derive meaning. 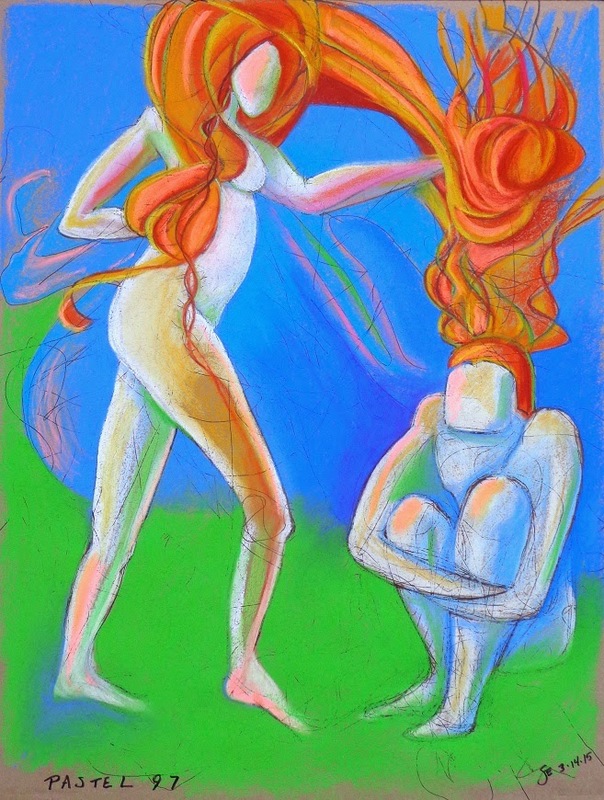 I definitely see the influence of my life drawing sessions - these are "found" like my other images in this long series of pastels, but where I had to fill in or complete the figures I did so from memory, without looking at a model or photos.